Have you wondered what you could do to get the best wedding photos? You may think that hiring a good wedding photographer would be enough and you're right, a good wedding photographer would point their finger at something wrong just at a glance... but actually, you could make some simple decisions to make your wedding photos look even better. After shooting many weddings and seeing what works and what doesn't I thought I need to share these tips so your wedding photos look great. 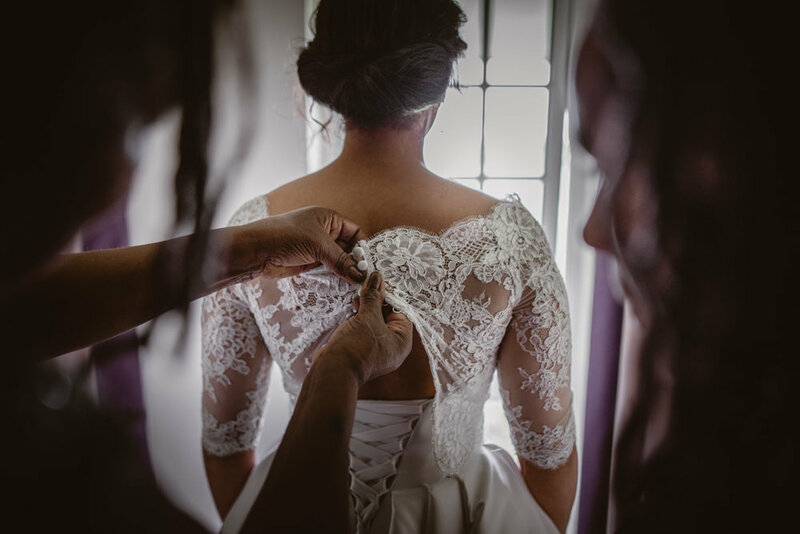 The following points are the most important things brides-to-be don't think about for the wedding preparations and it's a shame because I do know it can make a huge impact on the look and emotion your wedding pictures will have. And don't worry, I totally get it. Being in charge of so much is overwhelming. I'm writing this post in order to help you make those simple decisions, so keep on reading and you will be set for success! You could be getting ready at the venue, at a hotel close to your venue or even at home or your parent's. However, there's something even more important than the actual location: how practical it is. From my experience, sometimes brides-to-be are more preoccupied about how the room looks than anything, but the practicality of the room where you're getting ready is the most important matter. Is it big enough? Think about it, how many people are gonna be with you during your getting ready? Will the room be big enough for all your bridesmaids and family? Also, have you thought that apart from them, the make-up artist, the hairdresser and the photographer will be there? Also, if you're not getting married at the same venue you're getting married at, have you checked how far is it? how long it would take you to get to the church or venue from there? My advice is, the closer the better. If you can get ready at the same venue you're getting married at don't think it twice, get ready there. It makes the day so much easier and it's one thing you can cross off from you checklist or worries! Some venues have Bridal Suites with two separate rooms which are perfect. One of the rooms is usually used for make-up, hair and whatnot and the other one is used just for the bride to put the dress on. This way, keeping the area where you're getting ready tidy is way easier which leads us to the next very important tip. With so many people in one room, keeping the area tidy is sometimes impossible. I've seen a lot at different weddings... and think about it, if your room is a mess the photographer will do their best to hide it but there's a chance that an open suitcase or (even worse) some underwear might appear in the photo... definitely not ideal. This time you're gonna have to delegate. Talk to your bridesmaids and let them know that the room has to be tidied before the photographer arrives. Also, talk to your make-up artist and hairdresser beforehand and let them know about it. One trick would be to leave all the suitcases and bags in a designated area and put everything there. This way, it will be easier for the photographer to hide all those things and it will definitely make your getting ready photos perfect. 3. DOES THE ROOM HAVE ENOUGH NATURAL LIGHT? This may sound odd for some people, but the first thing I do when I arrive at the getting ready is to ask for the lights to be turned off. Why? Well, because fluorescent lights make skin tones kind of greenish, tungsten lights make everything to orange and LED lights flicker excessively making the lighting inconsistent. I do believe that natural light is always the way to go (if possible). For this reason, choosing a light and airy room for your getting ready is important. Natural light will always make more dramatic and beautiful images during your getting ready. For me, controlling the light of the room is a must and I'm always playing with the curtains and different angles in order to do so. Have a thought about it, light is what makes photography possible so let's give it the importance it has. As I said, I don’t like to have the lights on during the getting ready. But obviously, the make-up artist and the hairdresser will need some light to see what they’re doing. So, why don’t you ask them to do your make up and hair in front of a window? Just place a chair next to some beautiful window light and the make-up artist or hairdresser will have something to work with. And the best part is that window light is the best for those amazing make-up photos so your make-up will look amazing. However, some make-up artists and hairdressers have their own lighting kit in order for you to see their work perfectly. In that case, especially if they're using a beauty light, don’t worry about it as those lights are perfect for make-up and hair photos. This one might sound a little bit obvious but I swear, with all the madness and all the things going on during the getting ready is easy to forget... if they're not ready and you start putting your dress on they will appear in the photos with their robes or whatever they're wearing at that moment. Now, you might like that or you might not. This will depend on you basically... would you mind? Some of my brides don't care much about it as they like the natural look of the pictures when the bridesmaids are not ready yet and they're helping the bride with the dress. However, if you're looking for something more traditional they should be wearing their dresses at the time they're helping you with your bridal dress. You should put your dress on at least 1 hour before your interview with the registrar (if you're not travelling). However, if you're travelling to the church/venue from your getting ready simply add the time you need to get there to the hour you would need to put your dress on. People usually forget this, but if you want candid photos of a family member or even your kids, if they're not with you during the getting ready you won't have them. The getting ready is sometimes stressful enough to add children to the mix but if you have kids I do recommend you to have them in the same room during the getting ready. Doesn't have to be for the whole getting ready, maybe for the final hour or so... enough to have beautiful images of them helping you or just telling you how pretty you look... I swear you will love those wedding photos. Also, I need to make sure the timeline is going ok so I don't miss anything (always something happens and we run late but don't worry... that's the utter definition of a wedding). So, if you need help with something try and ask your wedding photographer. If they love weddings as much as I do I'm sure they will gladly help you. If having a picture or your first kiss as a married couple during the ceremony is very important to you and your partner, I have a very simple tip for you: hold it. Sometimes, with all the stress and whatnot that moment takes like 2 seconds... and from my experience, anything can happen during those 2 seconds. Sometimes, a guest stands up with their phone in front of me to take a picture of it, or other times the vicar or celebrant is on my way... so, if you want to help your wedding photographer in order to have a beautiful photo of your first kiss as a married couple, hold it at least for 10 seconds or so. Your photographer will appreciate it! Weddings are quite traditional even though my couples aren't. The whole process is quite stipulated by the registrars, the vicars, the venues etc... For example, right after you're proclaimed a married couple you need to sign the register. Righ after that, your witnesses will sign too. And at that moment, the registrar will ask you to have a photo of you both signing a fake registry (as you may know, the official wedding registry has the names and personal info from other couples so it's not allowed to photograph that document). From my experience, I can tell you all my couples are like... this is a little bit unnecessary, and then those pictures of them signing a fake document are meaningless to them. So if you don't want to do it and you rather end the ceremony and talk to your family and friends (and have a well-deserved drink) just say no. No, thank you, we won't take that picture. The same goes for the cake... this year particularly I had several couples who decided not to cut the cake just because they didn't want to. So, if you are feeling the same way you don't have to do it. Others, like Tiffany & Paul (photo above) decided to go for a cake made of different types of cheese so technically not a cake but it was so fun!. Just remember that it's your wedding day, you should do what you think is right and not doing things just because "it's tradition" or because someone said you must do it. When I say to my couples that the group photos are without a doubt the most stressful and difficult part of the day they usually don't believe me... until that moment comes! Think about it, you're there waiting for your family member to appear when they're called... but always someone is missing... might be in the toilet someone says, and my bride and groom are like, are you serious? The way I make it work might be different from other photographers but this is how I do it. My couples receive a long questionnaire a month and a half before their wedding day. There, the couple lets me know about everything about the wedding day. From the detailed timeline to the people who are very important to them (so I can focus on them), family matters which might make arise an issue (divorced parents, people who don't get along, etc...), the wedding vendors I will be working with, and a lot more... I know, it's a lot but I need to know everything about the day so I don't miss anything. Also, on the questionnaire, there's a section for the group photos. There, they can select the typical ones like bride and groom, bride with her mother etc... and then they can add the ones they want and are not predetermined. Normally, I recommend having a maximum of 10 to 15 group photos. Sometimes we have less, sometimes we have more, but never more than 20. Group photos take a lot of time to organise, and as I said before someone is always missing. As a guide, I can say each group takes me 5-10 minutes, so if you have 10 group photos that could take us almost an hour depending on how helpful people are. I also ask my couples to name a bossy friend or family member to help me gathering people so we can speed up the process. So, if I'm not your wedding photographer remember... make a list of your preferred groups (ideally 10-15 and never more than 20) and name someone bossy so he/she can help to organise the groups and finding missing people. If possible, I always like to grab the couple during sunset and go for a walk at the venue in order to get some beautiful and relaxed photos of them. What surprised me the most when I started wedding photography was that they thanked me not for the pictures but just for the moment. The creatives is the best moment for the couple in order to have a break and spend some time together in the middle of so much madness. So trust me, 30 or 45 minutes for yourselves will make you relax and chill out a little bit and it will give you the opportunity to talk about how much you're enjoying and how the day is going so far. Just do it! Having at least a simple timeline with all it's gonna happen during your wedding day might sound like a no-brainer and it actually is. You must have one. It's gonna help you a lot to organise all the vendors, the deco, the speeches etc... Also, some of the vendors will be glad to have it as well in order to have everything done at the right time. I always work on the timeline with my couples as I need to know what's gonna happen, when and what's after that. I need to know where to be at any stage of the wedding and select what will be better for me and for the couple. Also, sometimes I see something in the wedding timeline that is not gonna work because I saw it happen before and I know is not gonna go well. If so, just a quick chat with the couple and they realise it... so they have time to change it easily and one thing less to worry about. However, I would suggest going way further than that with your timeline. For example, if someone has to drop something off for you at a particular place (buttonholes, a suit, you name it! ), write it down on your timeline. If someone has to be at a particular time in a particular location to help you with something, write it down. If your florist is bringing your bouquet at a particular time, write it down. I think you can get it now, don't you? Write down everything. It's impossible to track and remember every single thing on your wedding day. Create a detailed timeline of all the tasks and vendors and give it to everyone involved. If they're working with you on your wedding day they will appreciate it. Also, it's a very good idea to give the timeline to a person you trust on your wedding day and delegate so they can keep track of everything and you can relax and enjoy your wedding. Obviously, give the detailed timeline to your wedding photographer so they know where they have to be at any moment! And that's it! 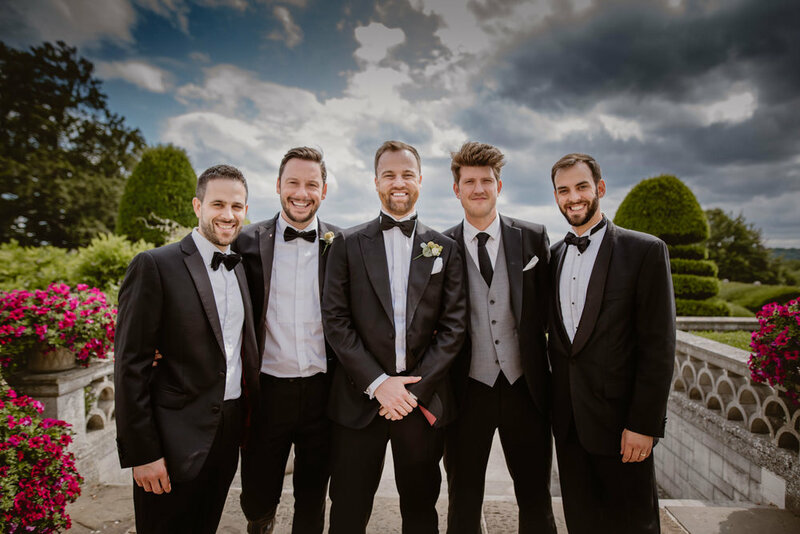 I think these are all the best tips I can give you for you to get even more beautiful wedding pictures and also to enjoy your wedding as much as possible. If you think I missed something or you have more tips please, share them with us. Keep the conversation going here in the comments section below or on social media. If you liked this post, share it with other future brides-to-be, groom-to-be or any other person you think could find it helpful. As always, if you have any question don't hesitate to send me an email or just fill out the contact form. Older PostHOW MANY HOURS OF COVERAGE DO I NEED FOR MY WEDDING?